Just lovely. Hair parted on side is very flattering. I know we all regret that she is ill and hope that her treatment is beneficial. She must be a great reader! Many of her “events” are literature related - like Camilla. 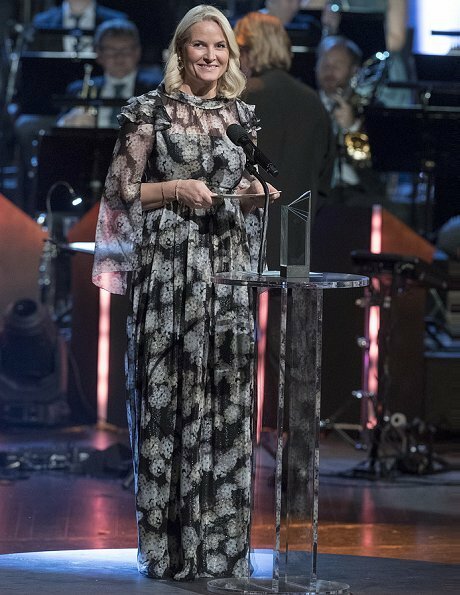 Crown Princess Mette-Marit looks magnificient. Her hair looks fabulous! So hard and sad to believe she is ill.
MM's hair looks very pretty curled like this. Lovely! The dress appears to have beautiful lightness and flow to it, and the long sleeves are a nice addition to it. I'd like to see it in motion. The dress/gown seems out of place there, with everybody else dressed so casually. Wrong. 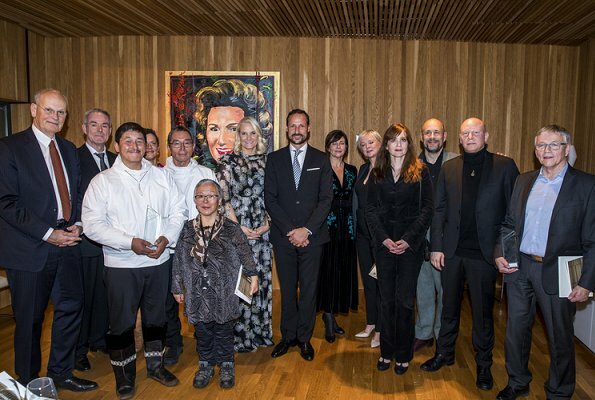 You are basing your opinion on a picture only by the prize winners which include the winner from Greenland in a traditional costume you can't dress any nicer then that...MM was dressed just like alle the other guest and participants at the award show. Nice to see her out and about, smiling, having a good time. MM is looking absolutely gorgeous and a little correction to the admin. 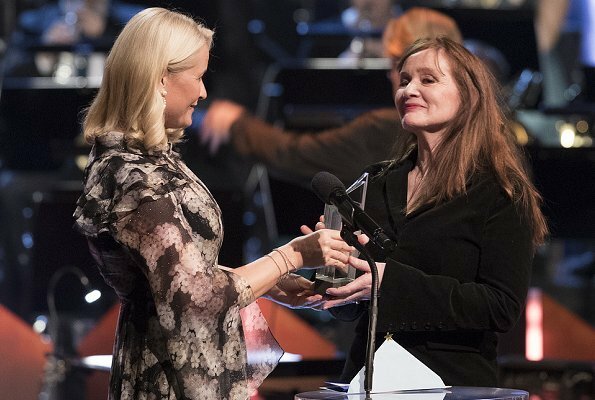 The award show last night was not only for literature. 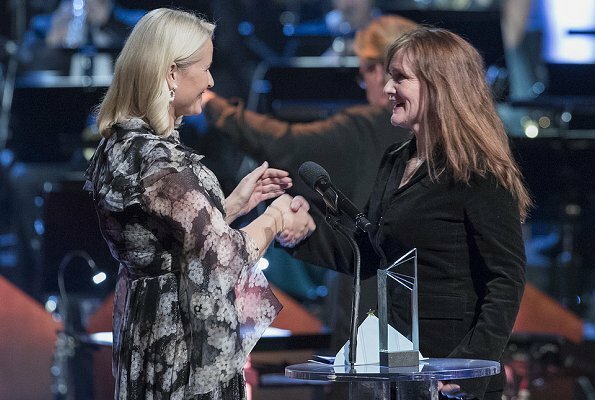 The Nordic council prize are awarded for best film, environment(The prize goes to a company, organisation or individual for exemplary efforts to integrate respect for nature and the environment into their business or work or for some other form of extraordinary initiative on behalf of nature and the environment), children and young people's literature, music and also literature which was the prize MM presented. 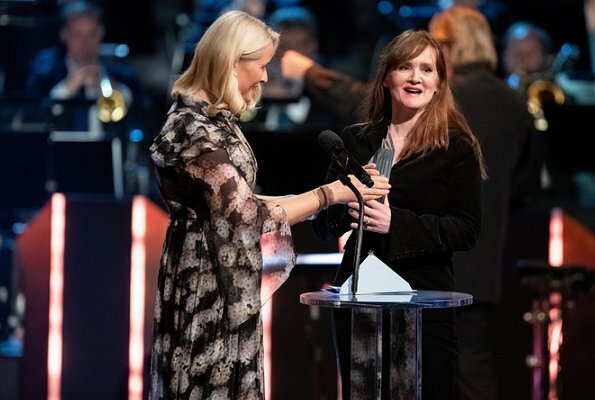 I think it is a nice gesture from a person handing over an award to be dressed rather formally. In addition her dress is far away from a gala gown. And some ladies are dressed more than "casual" as well. We all know Mettes preference for chiffon dresses, ruffels, bows and so on. Compared to former dresses with the typical 'Little house of the prairie' touch, I must say this dress looks good on her and -very important - it fits. The top part with the black corsage under the see through fabric looks more grown up than her sometimes girlish style. Also her hairstyle with the sidesweep is better than the usual middle parting. 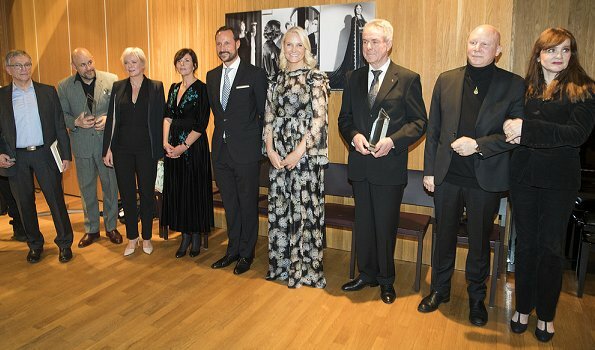 I must say, in spite of her health issues, Mette-Marit looks particularly good lately, mature and centered. She Looks very good! Wish her and her family all the best! Very nice to see the CP couple out and about. 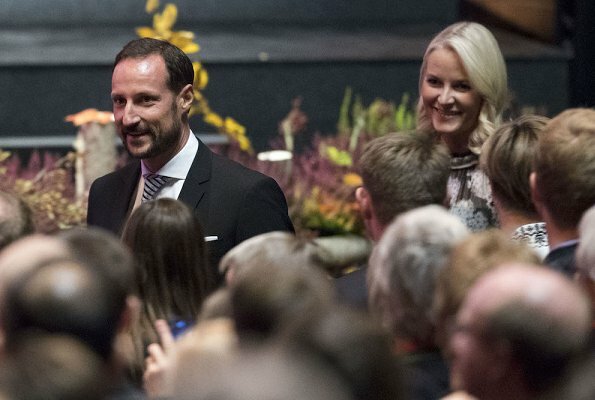 Mette Marit looks good and happy. I wish her the best for the future.